Combustion systems (furnaces and fired heaters) are an essential part of your fired assets. Are you using the most efficient and cost-effective analyzer technology to maximize output and safety, and reduce costs? Download our free Combustion and Fired Heaters eBook. 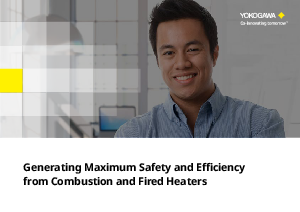 In this eBook, we explain how to improve fired heaters safety and efficiency by controlling combustion using TDLS technology. Download it now and learn.